PORTABLE RANGE | 50 HZ 3.000 R.P.M. / 60 HZ 3.600 R.P.M. 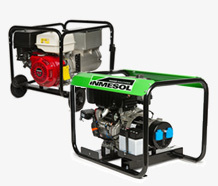 The portable range of gensets and engine-driven welders, is aimed at the electrical supply in applications like construction, public works (municipal), rural houses, mountain houses, camper vans, agriculture, etc. INDUSTRIAL RANGE | 50 HZ 1.500 R.P.M. / 60 HZ 1.800 R.P.M. 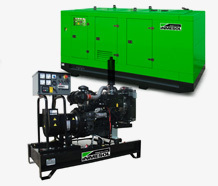 The industrial range of gensets is mainly aimed at industries, mining, telecommunications, hotels, rural houses, agriculture, sea ports, military applications, etc. They usually work as the main source of supply in an installation where there is no mains electricity or it is too weak. 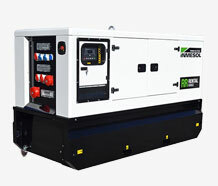 The gensets in the Emergency Range are designed to offer maximum performance in reserve from the mains electricity supply. These devices come into operation automatically when there is a power failure, guaranteeing a reliable and efficient supply. RENTAL RANGE | 50 HZ 1.500 R.P.M. / 60 HZ 1.800 R.P.M. 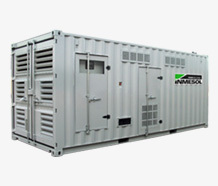 The Rental Range of Inmesol gensets, is aimed at temporary electrical supply, where the main applications are construction, public works, roads, underground constructions, concerts, celebrations, telecommunications, etc. HEAVY-DUTY RANGE | 50 HZ 1.500 R.P.M. / 60 HZ 1.800 R.P.M. 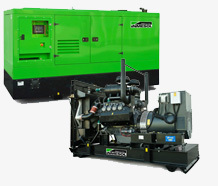 Generator sets for HIGH POWERS.